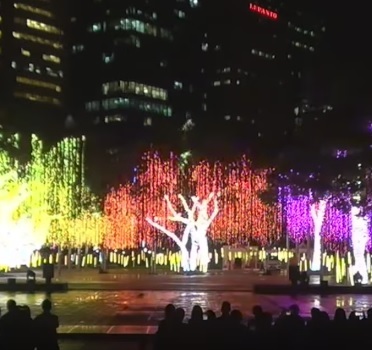 Filipinos are once again flocking to the Festival of Lights at the Ayala Triangle Gardens to watch about a million LED lights dancing to music. The light show has become a Christmas tradition of sorts for some who make it part of their itinerary during the holidays. Now on its 7th year, the Festival of Lights opened on November 15, with a crowd of excited media people and onlookers documenting the event on their devices. The light and sound show will run until January 8, 2017. 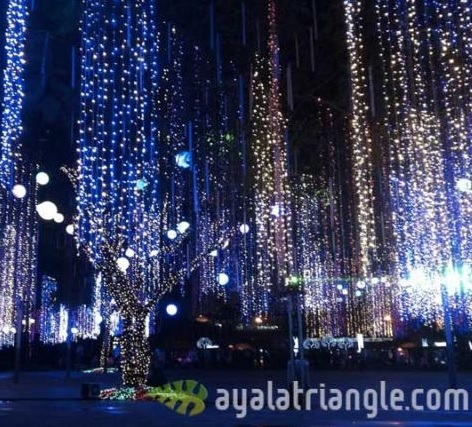 Michelle Suarez, Marketing Associate Manager of Ayala Land Inc, said that there will be three distinct medleys for the light and sound show namely: Christmas Fiesta, Sweet and Magical Christmas, and An Epic and Classic Christmas. 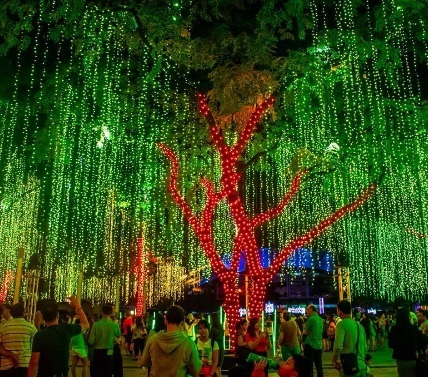 Michelle said, "This year, we've really enveloped the whole Ayala Triangle gardens with lights. We not only mount the lights hanging on the trees, but we also have lights from the ground. So when you watch the show, it's really from the ground up. 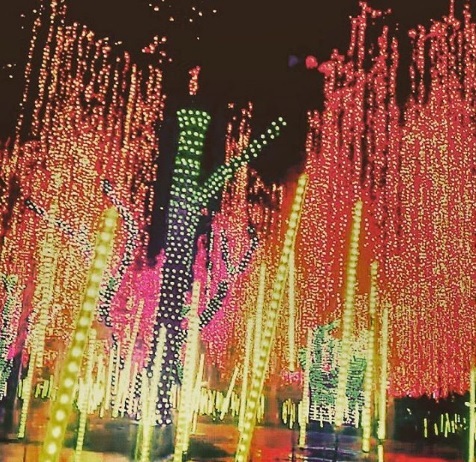 It's really a blanket of such a dazzling and amazing display of lights... We want people to be really immersed... and have that very immersive experience when they catch the light and sound show here at Ayala Triangle Gardens"
The shows will run daily from 6 P.M to 10 P.M until January 8. There will be a show every 30 minutes. The light shows are FREE and open to the general public.